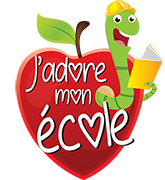 Help « J’adore mon école » make Quebec schools better learning and living environments. Register and launch a campaign to raise funds and support local initiatives while contributing to our fund for underprivileged public schools across the province. Join a campaign and team up with your peers to reach your goal! Give and show your support to the cause! Launch your own fundraising campaign and share it with your network to reach your goal! Get involved! Check out these new campaigns and help them reach their goal. Bonne mission!! Vous êtes extraordinaires!! Félicitation pour ce beau projet!